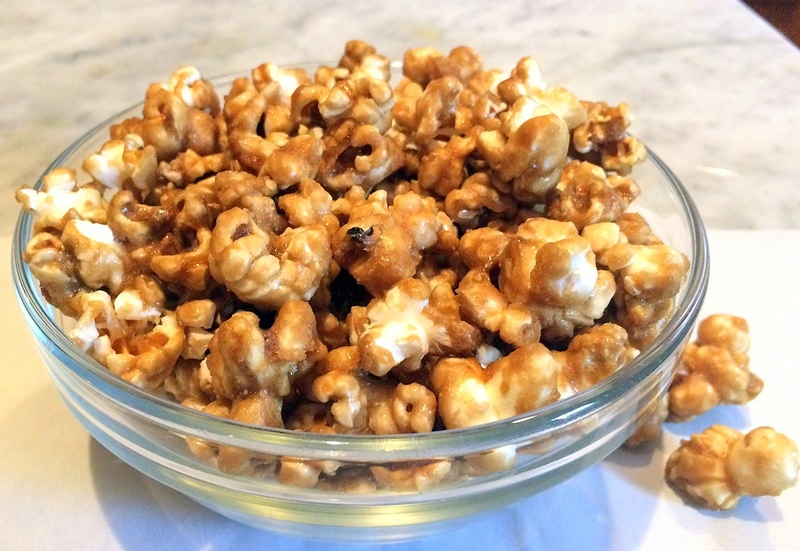 It's Super Bowl Sunday, practically a national holiday with its own genre of cuisine, and so in the spirit of bad-for-you snacks, I present Oven Caramel Corn, a homemade version of Cracker Jacks, most closely identified with that other American pastime, but perfect for football too. It's easy to make, and much better than the store bought variety, trust me. Begin by popping some corn. Careful, for even though I make popcorn five nights a week, I still managed to burn this batch. I wasn't used to making it in the Le Crueset, with its amazing ability to retain heat. Place the popped corn in a bowl while you prepare the caramel. 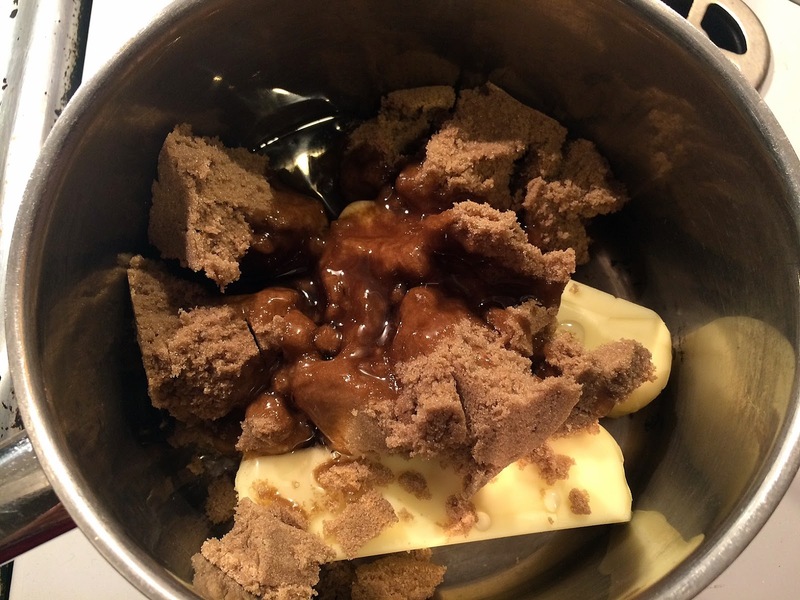 Place butter, brown sugar and Karo syrup in a sauce pan and heat. Wait until it comes to a boil and cook for about five minutes.Add the salt, baking soda and vanilla. 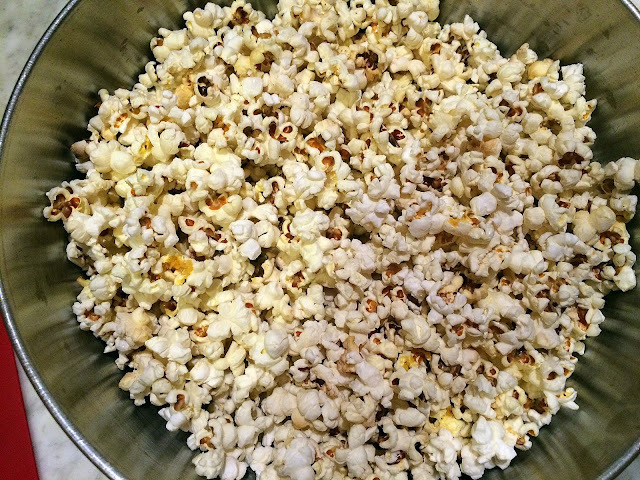 Then pour over the popcorn, which you've placed on baking sheets or in a large roasting pan. Mix together to spread the caramel. I used large tongs for this, but a large spoon would work as well. My scanner appears to be broken, so I photographed the vintage recipes I used, and have written the recipe out below. Since each of the recipes is slightly different, I used some instructions from each. 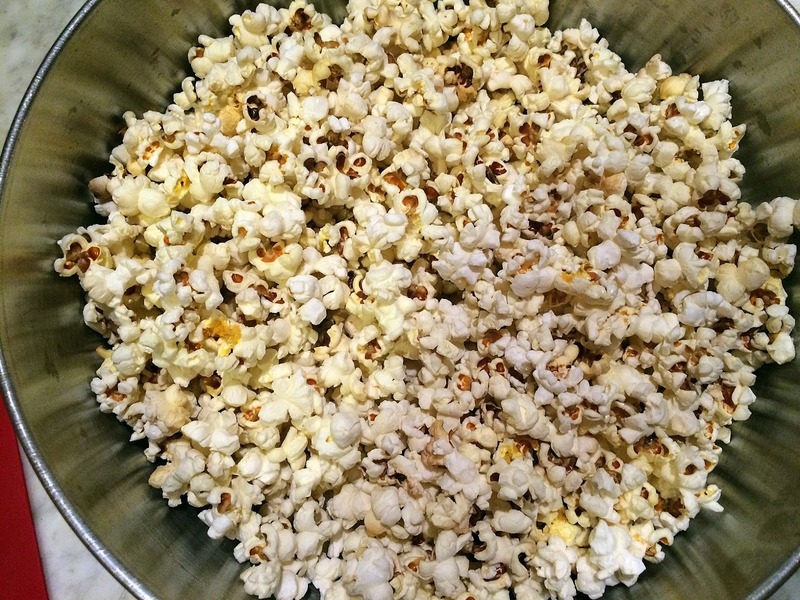 Place popcorn on baking sheets or in a large roasting pan. 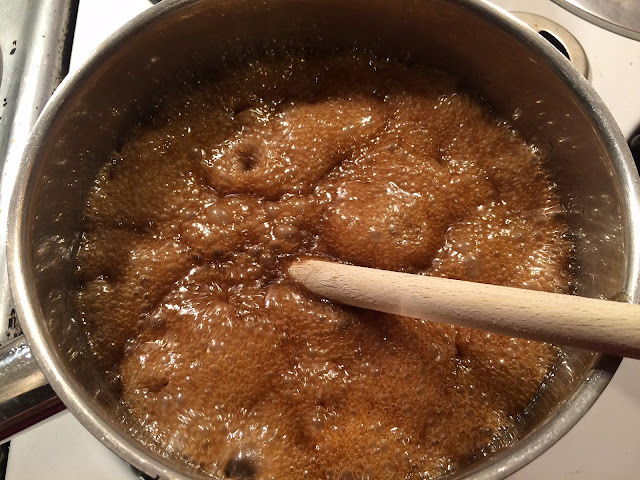 In a two-quart saucepan, combine butter, syrup and sugar. Cook over medium heat until combined and boil about five minutes. Add the salt, soda and vanilla. Pour mixture over popcorn, and using tongs or a spoon spread it as best as possible. 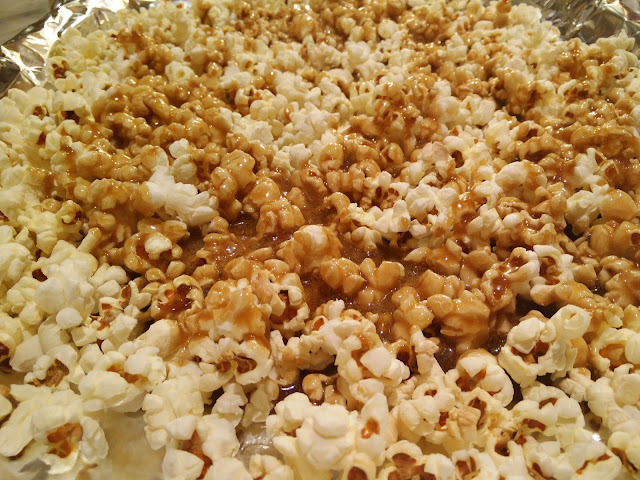 Every 15 minutes for one hour, stir the popcorn to distribute the caramel. Keep in an airtight container. 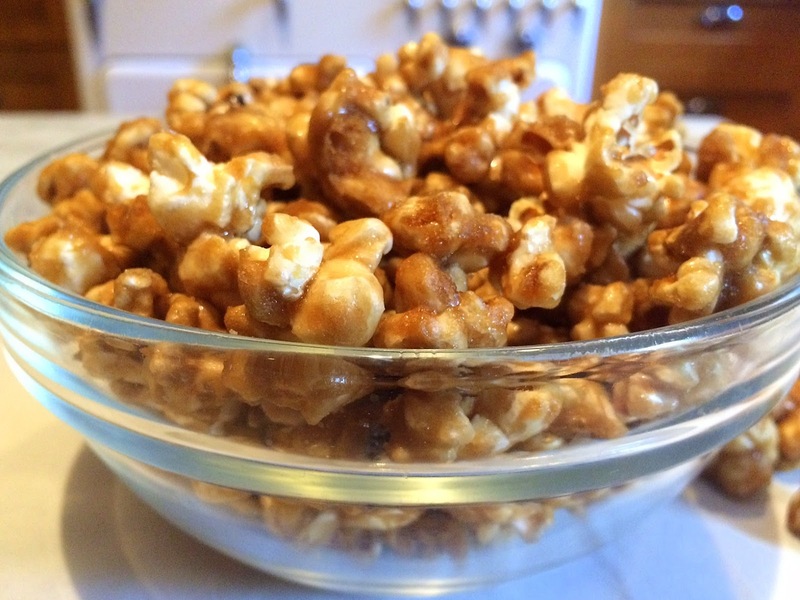 You can add peanuts to the popcorn prior to putting it in the oven to make homemade Cracker Jacks. The DH begged me to add nuts, but I wanted to follow the recipe exactly. Nuts -- peanuts or pecans -- would be fantastic, though. Thanks for this! It seems an easier way to do it than doing it on the stove top. Did you leave it in for 30 minutes? And on what temp? Thanks again, I will be using this recipe. Hi Beckster. I boiled the sauce for about five minutes, and after pouring over the popcorn and distributing, left it in the over for 60 minutes. 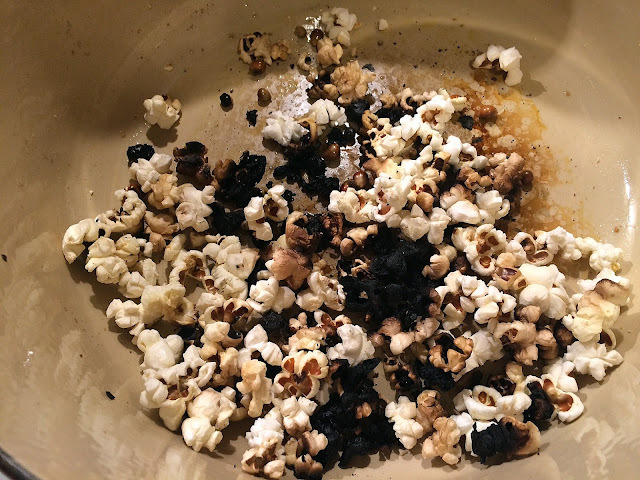 Every 15 minutes, I'd move the popcorn around using tongs to make sure every piece was coated. Thanks for sharing another fantastic recipe. You can't beat homemade caramel corn. 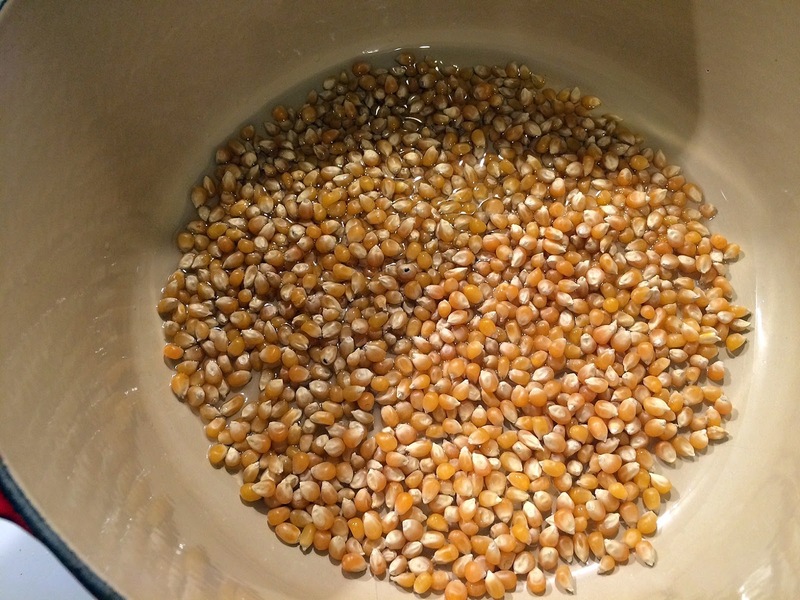 I'd like to share this tip for homemade corn. 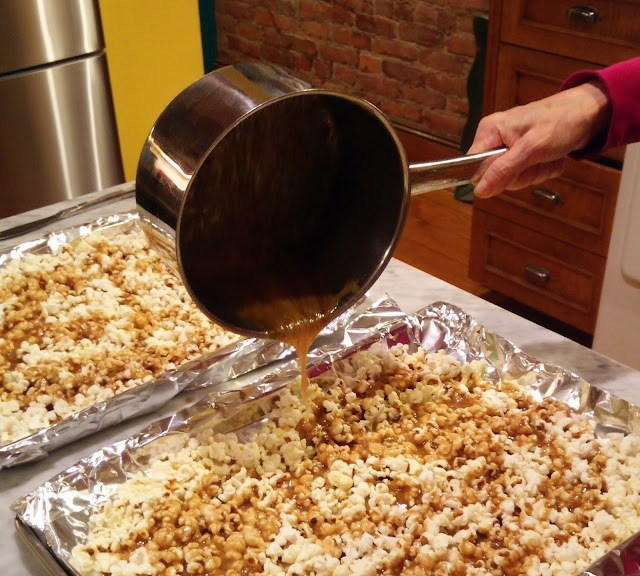 After popping the corn, dump it onto a broiler pan(top and bottom)and gently shimmy the pan to help sort out the "old maids".